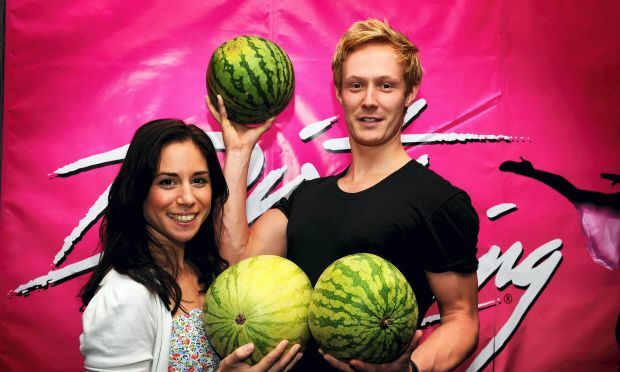 Rehearsals are under way for the tour of Dirty Dancing which opens at Bristol Hippodrome on 1st September, but casting news is very hard to come by. All I have so far is that Paul-Michael Jones (Mamma Mia, Never Forget tour) is playing Johnny Castle (the Patrick Swayze role) and Emily Holt (tour of Grease) is playing the show’s heroine Frances “Baby” Houseman who is taught to dance by hunky Johnny while at holiday camp. They are both pictured here at the Manchester launch. Charlotte Gooch is playing Penny. Russell Smith (in the ensemble in Dirty Dancing in London) is swing/dance captain. Thank you so much that. The cast of this production is very late in being announced. Have added your names to the blog and web page. The best thing about Dirty Dancing is the show sells itself;also you can't get away with having celebs as the leads unless they are excellent dancers.Doubtless they will dig up some "name" for Billy though. Well whoever is playing Billy, they're keeping it very quiet!